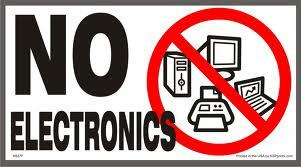 How many times have you gone out in the RV with the kids and found that they buried their heads in the electronics? How many stunning sunsets and beautiful sights have they missed on the road because their electronic worlds were more interesting? You invested in an RV for the traveling comfort and to enjoy the great outdoors. If electronics are cutting into that pleasure time for your kids, here are some steps to help you take control of this issue. It’s extreme, but effective. If the electronics aren’t at the campground, then your children will be forced to go fishing, take a swim or go ride their bike. On the road, have them take books to read. A better idea is to have them sit near the front and keep you company while you drive. Play games to find license plates from all 50 states or as many different restaurant billboards as you can. You may want to take the electronics along with you for rainy days in the camper. If this is the case, then take a timer along with you. Set the timer for 30 or 60 minutes, and when it rings the kids have to turn the electronics off. It prevents them from losing track of time, and it ensures that they will spend some time in the great outdoors. out in the camper, take along family friendly games you will all enjoy. Look for game sets that include chess, checkers, backgammon and other games. They take up very little space in the camper, but they provide you with plenty of family entertainment. 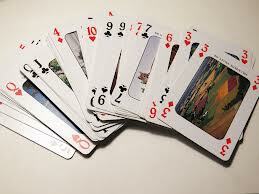 Pack a deck of cards to teach the kids classic Hearts, or take specialty card games like UNO or Phase 10. Remember to take a few games you can play outside. Buy a ladder golf set, corn hole or even a badminton game. Most campgrounds now have basketball courts, so take a basketball along. If you don’t want to travel with the extra games, then look for campgrounds that feature a collection of outdoor games like miniature golf, tether ball or tennis. If you don’t want the kids to get lost in electronics, then give them some incentive to resist the temptation. Provide them with other forms of entertainment both on the road and at the campground. 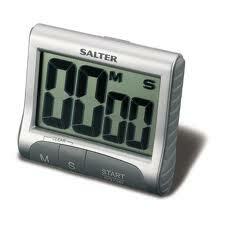 If the kids do play games for short periods, use a timer to make sure they don’t get lost in the game for hours on end. With these simple steps, your children will get to actually enjoy the great outdoors and maybe even take in a beautiful sunset.